Anonymous user: Both are epic fantasy novels...time travel, mystery, unlikely love interests. rlb0616: No witches or vampires, but it does have time travel. Also, there are many similarities between the two male leads. Mumugrrl: Not the same kind of feel as A Discovery of Witches, but it does involve Oxford, alchemy and the ghost of Isaac Newton. If you took Edward and Bella out of Twilight, sprinkled in some magic and demons, then smothered it all in random info about history and obscure books, you’d get A Discovery of Witches. They say write what you know, but I don’t think this was the intended result of that phrase. Way too many words with far too little happening and all rings very familiar. Annoying bits like the main character who has a doctorate and apparently is unfamiliar with mitochondrial DNA, something that anyone who took biology in high school would know about. And it was incredibly irritating that they kept calling Diana brave. If you’re too dumb to know there’s anything to be afraid of, it’s not brave. She’s a boho waifish brat and he’s an obnoxious creepy stalker and we’re supposed to find their romance compelling. "With books about fictional witches, it’s all too easy to fall back on tongue-in-cheek descriptors like “enchanting” or “spellbinding,” but both adjectives aptly describe the superbly entertaining saga Harkness has crafted. This is a riveting tale full of romance and danger that will have you on the edge of your seat, yet its chief strength lies in the wonderfully rich and ingenious mythology underlying the story. Entwining strands of science and history, Harkness creates a fresh explanation for how such creatures could arise that is so credible, you’ll have to keep reminding yourself this is fiction." As will be obvious by now, this is a very silly novel. Characters and relationships are stereotyped. The historical background is a total pudding. The prose is terrible. And yet, the ideas have just enough suction, somehow, to present an undemanding reader with some nice frissons. I liked, for example, the way Diana tries to sublimate her magic powers in running and rowing and doing yoga – at a mixed vampire-witch-daemonic yoga class, participants struggle not to levitate during their vinyasas. And I liked the way Matthew and Diana smell to each other like Jo Malone candles: Diana is "horehound, frankincense, lady's mantle", Matthew is "cinnamon and clove". "a thoroughly grown-up novel packed with gorgeous historical detail...Harkness writes with thrilling gusto about the magical world. Whether she's describing a yoga class for witches, daemons, and vampires or Diana's benignly haunted house, it's a treat to suspend disbelief. ... As the mysteries started to unravel, the pages turned faster, almost as if on their own. By the most satisfying end, Harkness had made me a believer. "a romantic, erudite, and suspenseful first novel by Deborah Harkness. The first in a planned trilogy, it sets up blood drinkers and spell weavers as enemies for eternity in a feud as old as the Crusades; the duo confront social disapproval and intolerance as they elude evildoers and puzzle out enigmas throughout history. ...Harkness attends to every scholarly and emotional detail with whimsy, sensuality, and humor. The protagonist is a witch. Her beau is a vampire. If you accept the argument that we’ve seen entirely too many of both kinds of characters in contemporary fiction, then you’re not alone. Yet, though Harkness seems to be arriving very late to a party that one hopes will soon break up, her debut novel has its merits; she writes well, for one thing, and, as a historian at the University of Southern California, she has a scholarly bent that plays out effectively here. It's probably unfair to compare A Discovery of Witches, the debut novel from Deborah Harkness, to the Twilight saga and its imitators, but it's a difficult comparison to avoid. It's probably best, then, to get that out of the way at the top. Yes, A Discovery of Witches is a novel featuring a romance with a preternaturally old, attractive and compelling vampire. Thankfully, this one doesn't sparkle. If she can rein in some of the fulsomeness, Harkness might just be on to a winner. [starred review] "Diana Bishop is a history scholar—and a witch in denial of her powers. Researching the early beginnings of scientific study in Oxford's Bodleian Library, she unwittingly discovers an ancient tome of alchemy and finds herself attracting a great deal of unwanted attention from a startling array of daemons, witches, and other supernatural beings. Among them is the brilliant (and attractive) vampire geneticist Matthew Clairmont. Set in our contemporary world with a magical twist, this sparkling debut by a history professor features a large cast of fascinating characters, and readers will find themselves invested in Diana's success at unlocking the secrets of the manuscript. ... Harkness is an author to watch. For Lexie and Jake, and their bright futures. The leather-bound volume was nothing remarkable. The King just sits there, moving one square at time. The queen can move so freely. I suppose I'd rather lose the game than forfeit her freedom. ´Normal`is a bedtime story - a fable - that humans tell themselves to feel better when faced with overwhelming evidence that most of what's happening around them is not ´normal`at all. Remember the past-and await the future. Interested in learning more about magic and science? Elias Ashmole, Theatrum Chemicum Brittanicum: Don’t be put off by the Latin title. This is a collection of English alchemical texts that were gathered by Elias Ashmole. The missing alchemical manuscript that Diana finds in the Bodleian library is not among them, alas, but if you are interested in the subject this is a fascinating glimpse into the mysterious texts that she studies as a historian. Janet Browne, Darwin’s Origin of Species: Books That Changed the World: Browne is not only a great scholar, but a superb writer. A highly-regarded biographer of Darwin, here she turns her talents to writing a “biography” of his most famous book—and one of Matthew Clairmont’s favorites, as well. 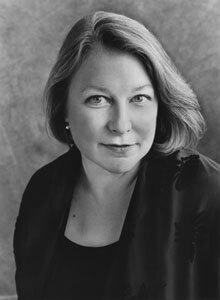 Deborah Harkness is a LibraryThing Author, an author who lists their personal library on LibraryThing.